Classic clog and Mary Jane combine on the Spring Step Women's Gloss Mary Jane Shoe. Hand painted leather adds an artistic touch to this unique work to play shoe. 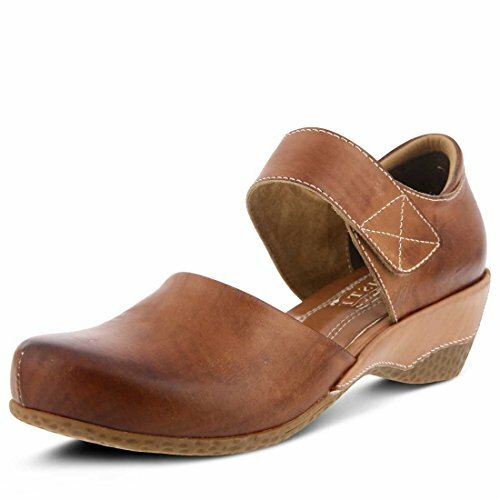 Hybrid Mary Jane clog silhouette Genuine hand painted leather upper Strap over instep with contrast stitching and hook and loop closure Soft textile lining Synthetic leather padded insoles Rubber outsoles Heel height: 2"